This team first appeared in Young Justice: The Secret (June 1998); this story occurs before the JLA: World Without Grown-Ups event, when Robin, Superboy and Impulse decide to form Young Justice. 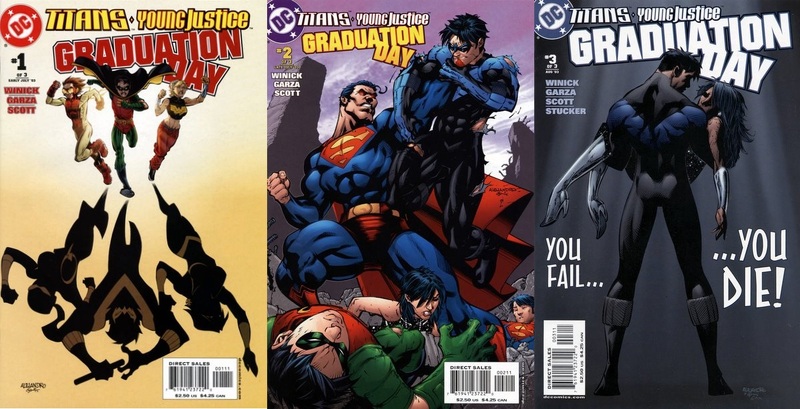 After JLA: World Without Grown-Ups, the team graduated to their ongoing monthly series that ran for 55 issues (1998-2003). This run also includes a #1,000,000 issue and a Secret Files & Origins special. The team was formed at a time when DC's usual teen hero group, the Teen Titans, had become adults and changed their name to The Titans (1999). Like the original Teen Titans, Young Justice was centered around three previously established teen heroes: Superboy, Robin and Impulse, but grew to encompass most teenage heroes in the DC Universe. 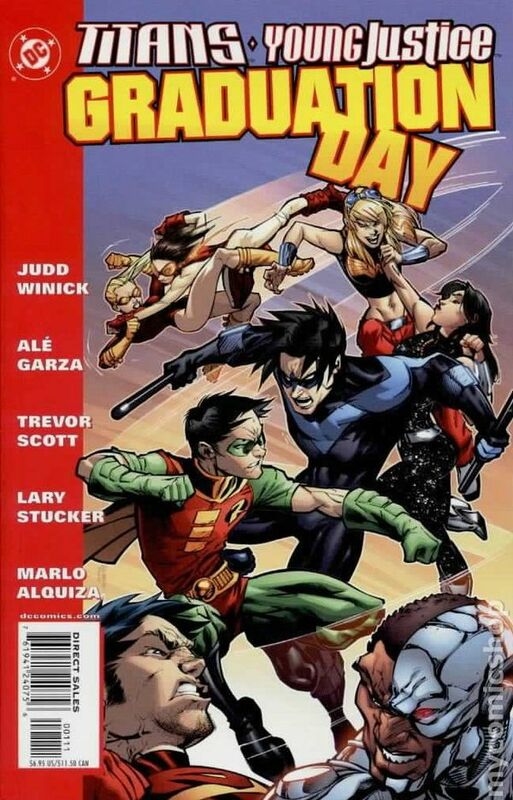 In the 2003 mini-series Titans/Young Justice: Graduation Day (covers, trade paperback), both groups disbanded and members of each formed two new teams in Teen Titans (Vol. 3) and Outsiders (Vol. 3). DC Comics Presents: Young Justice #3 (Collects stories from Secret Origins 80-Page Giant and Young Justice #7). Young Justice, Vol. 2 (Young Justice #8-17, Young Justice: 80-Page Giant #1, Young Justice In No Man's Land #1, Supergirl #36-37, pages from Young Justice: Secret Files #1).